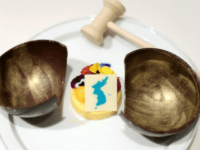 The government of Japan lodged a formal protest on Wednesday against the mango mousse tarts to be served at Friday’s summit between South Korean President Moon Jae-in and North Korean dictator Kim Jong-un. The Japanese do not appear to have a problem with mango mousse per se; their complaint is that the tasty treats are decorated with a map of the Korean Peninsula that includes a contested island claimed by Japan. 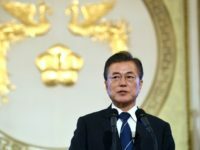 South Korean President Moon Jae-in on Monday urged the United States and North Korea to lower their conditions for negotiations to take place. 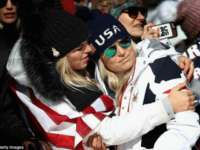 The 2018 Winter Olympic games never really got any traction with television viewers. A reality that was driven home in the ratings for the final day of the games. 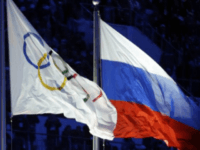 Russian hackers and military spies hacked their way into scores of computers at the Winter Olympics in Pyeongchang, South Korea, according to the Washington Post. The 2014 cover of Sports Illustrated became the gold standard for long-term projections of championship sports success. That particular cover predicted, correctly as it turns out, that the 2017 Astros would win the World Series. 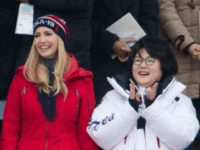 Feb. 24 (UPI) — Ivanka Trump, the U.S. president’s daughter and senior advisor, and South Korean first lady Kim Jung-sook watched a snowboarding competition together at the ongoing PyeongChang Winter Olympics on Saturday, a presidential aide here said. 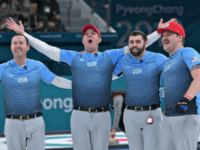 Feb. 24 (UPI) — The latest gold medal for Team USA at the Pyeongchang Olympics came from its men’s curling squad. 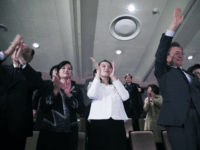 SEOUL, South Korea (AP) — Ivanka Trump told South Korea’s president on Friday that she will use her visit to the Winter Olympics to advocate maximum pressure on North Korea to halt its nuclear program. 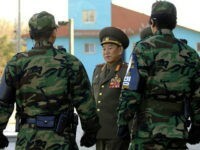 North Korea’s Olympic “charm offensive” came to an end on Thursday as officials announced Pyongyang’s delegation to the closing ceremony would include Kim Yong-chol, who is currently vice chairman of the Workers’ Party Central Committee but formerly chief of the North Korean military intelligence agency blamed for the 2010 torpedo attack on the South Korean corvette Cheonan. So much for losing with grace. 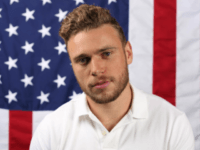 The United States and Canada have been bitter rivals on the Olympic ice, particularly on the women’s side, for some time. 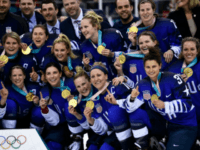 Pyeongchang (South Korea) (AFP) – America’s women broke an ice hockey gold medal drought stretching back 20 years on Thursday as a Russian curler admitted doping and was stripped of bronze at the Pyeongchang Winter Olympics. 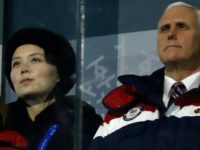 The White House and State Department revealed on Tuesday that North Korean officials offered to meet with Vice President Mike Pence during the Winter Olympics in South Korea, but retracted their offer at the last minute after Pence condemned North Korea’s human rights violations. 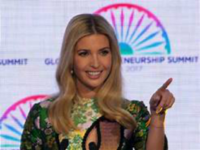 Politics are in the spotlight again at the 2018 Olympics in South Korea as Ivanka Trump attends the closing ceremony of the games on Sunday. 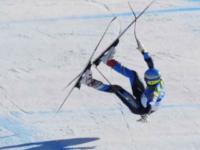 It’s been described as the most popular sport you’ve never heard of. 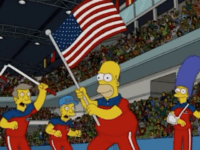 It’s curling, and no matter what your opinion is, everyone has an opinion when it comes to curling. 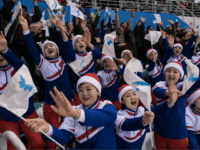 A North Korean official on Tuesday floated the possibility of co-hosting the 2021 Asian Winter Games with South Korea and using North Korea’s Masikryong ski resort for the event. 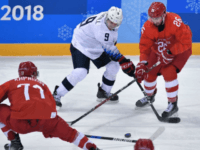 Gangneung (South Korea) (AFP) – Ilya Kovalchuk and Nikolai Prokhorkin each scored two goals and the Olympic Athletes from Russia blanked arch-rival United States 4-0 in an electric atmosphere on Saturday at the Winter Olympic men’s hockey tournament. 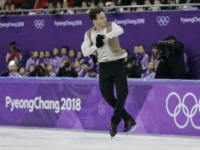 “Hava Nagila” provided the classic soundtrack to Israeli figure skater Alexei Bychenko’s routine as he qualified for the Olympic finals on Friday, with a 13th-place finish in the short program heat. 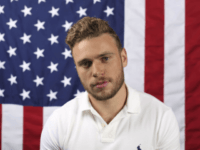 Team mate Daniel Samohin was not far behind with his 18th overall. 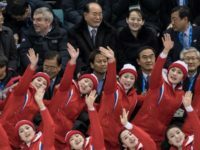 GANGNEUNG, South Korea (AP) Before heading out to skate on the Olympic ice Thursday, the Knierims saw the news of the deadly Florida high school shootings. 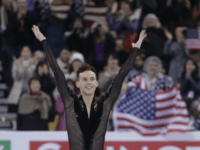 The only U.S. pairs skaters at the games were hurting. 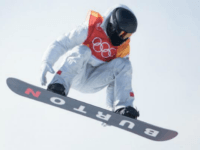 U.S. Olympic snowboarder Shaun White had a huge night on Tuesday, he won his third gold medal and the 100th gold medal in Team USA history. Whatever you’ve got planned for Valentine’s Day, American figure skaters Alexa Scimeca Knierim and her husband Chris Knierim, have you beat. 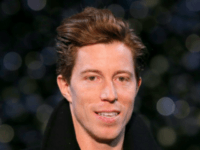 Feb. 13 (UPI) — Shaun White delivered Team USA’s 100th gold medal in Winter Games history Wednesday on his final run in the men’s snowboarding halfpipe final.